Google bought Nest and its smart thermostat a few months ago, and now it's integrating the product into its ecosystem more completely on Earth Day. 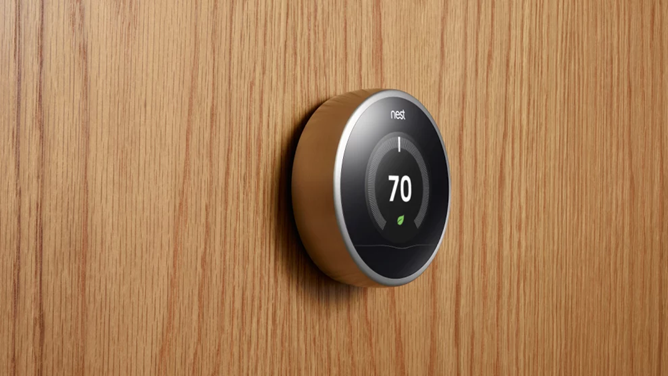 The Nest Learning Thermostat is now available in the Play Store. It's selling for $249 and Google will plant a tree for every unit sold today, presumably because of Earth Day. Yay, Earth! 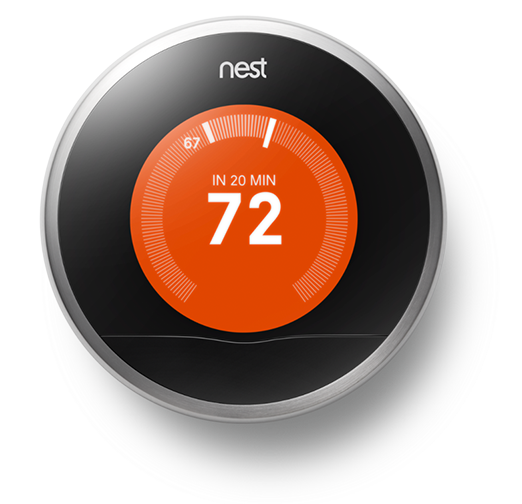 The Nest seeks to save energy by innovating in the traditionally boring thermostat market. Rather than rely on static scheduling or a single temperature control, this device knows when there is activity in the house and can be controlled remotely from your smartphone or tablet. It also tracks energy usage over time and can automatically build a more efficient schedule for your heating and cooling. Plus, you can get rebates in many places for buying a Nest (sometimes as much as $100). Nest has a 320x320 full-color LCD, WiFi, and an array of sensors. It replaces your current thermostat and should be compatible with most existing systems. Installation is simple enough that most buyers are able to get it up and running in about 30 minutes. According to Google's Devices support page, the Nest is on sale in the US (except Puerto Rico), Canada, and the UK. Google lists 1-2 days for shipping right now, but that might slip if sales are good.